I met the owner of a large roofing company the other evening at my favorite restaurant. We were chatting with a couple who had a teenage son, and after they left, the first thing he said to me was, “Everywhere I go, I am recruiting!” He and I commiserated about the state of the construction industry: plenty of work but not enough people to do it. He has been in the construction business for as long as I have, and he’s got the right idea. It is a state of urgency in the current expanding marketplace, but it has been a concern for our industry for much longer. It was exacerbated by the last recession, when many older, experienced trade workers took advantage of pensions, or found other allied work requiring similar skills, or made a career shift to another industry. Combining the attrition in experienced workers with the dearth of incoming young people has created a big problem. I was at a conference for diversity in construction recently, and one member of the audience spoke up to bemoan the lack of support from public educators; he heard his son’s high school principal bragging about how many of his graduates continue to college. There has been such a huge marketing effort by higher education to drive everyone to college, perhaps due to a fear that the US would lag behind Europe – or back in the day, the USSR – in science and engineering. Those who choose not to attend, or can’t afford to addend college are denigrated, thought to be doomed to a life of unskilled minimum-wage work. This could not be farther from the truth. One of my former apprentices still goes back to her technical high school and the middle school to talk with the young people about what they call “non-traditional careers” for women. She is out-earning her peers who chose traditional careers, and certainly enjoying her accomplishments and success outside the cubicle. Not everyone comes to construction, whether trades or office, by studying the vocation in school, either. Closer to home, my husband and partner here at M&A hails from a traditional college background, with an undergraduate degree in philosophy. 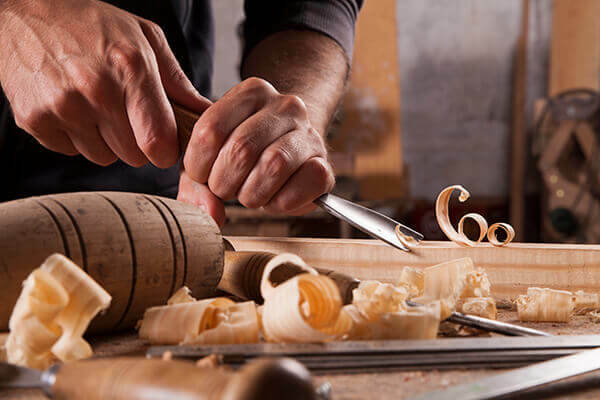 “I didn’t want to put on a suit and tie and jacket,” is how he describes his shift from a career in academia to learning carpentry by doing it. There are many college students struggling with the academic environment and better suited for more active, tactile work. When my son was in Montessori, I think they called it ‘kinetic learners’. The natural result of “letting you be you” can result in excellent craftsmanship and beautiful work which withstands the test of time. This resonates with me: after twenty years in high tech, writing software and as a product manager, I witnessed the rise and fall of the mini-computer industry. I was releasing products to market which would be obsolesced in as little as six months. Now I can participate in projects which extend the life of a building for a century. The knowledge of how to build something that will last, and the visible results of the craftsmanship, are hard to beat for finding joy in work. 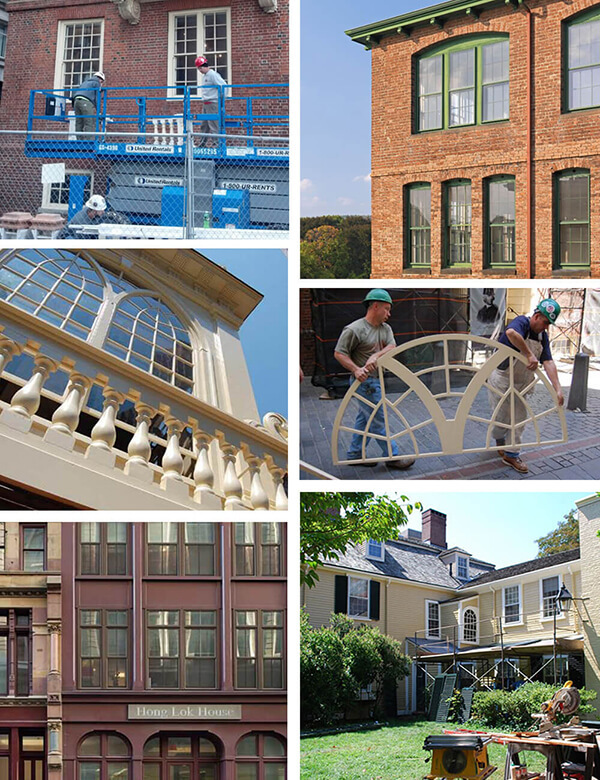 When my carpenters have friends and relations visit, they take them on a Duck Tour and show them the beautiful work they participated in, from above the State House dome to huge church windows and ornate mahogany entries. 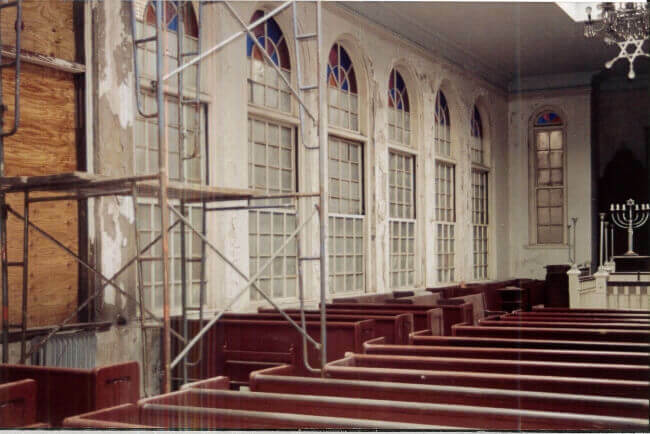 They take pride in being part of preserving our architectural heritage. In our industry, at this critical time, we all need to be advocates, recruiters, boosters, evangelists in some way, for our industry to thrive: visit a high school and talk about the opportunities, support internships within your company, be open to hiring people who have been on an academic or business track but want to try something new. Do just one thing to raise the visibility and value of our industry. 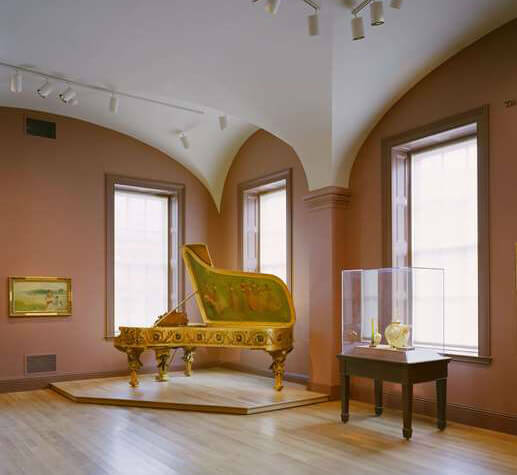 The National Portrait Gallery’s Preservation Dilemma: Can This Historic Millwork Be Saved?